I reference this performance on the air often when our annual Fun ‘n Sun concert at Coachman Park in Clearwater comes around. In 2012, I wasn’t on the air yet with QYK, but I was working for the station. Truth be told, I wasn’t much of a country guy yet. I checked out all the performances, not only on the main stage where the big crowd was, but also the newer up-and-coming acts on the small trailer in the back. It was possibly because the crowd was thinner so there was less chance of spilling my beer. At this point, Brett Eldredge had a couple songs out but neither got much radio airplay. “Don’t Ya” would become his first big hit, but that one hadn’t even been released as a single yet. He played songs that the thousands in attendance would eventually know word for word. But for most at the concert waiting to see Ronnie Dunn , it didn’t seem worth doing the 3 minute walk to the other side of Coachman Park to see Brett. So for those who did, they had plenty of space to enjoy his 20 minute set. There were maybe 100 or so people at the most watching the performance. A year or two later, he was winning ACM Awards and playing to tens of thousands on tour. Five years later, with 4 albums under his belt, he’s hosted The Today Show and has over a million fans on Facebook. 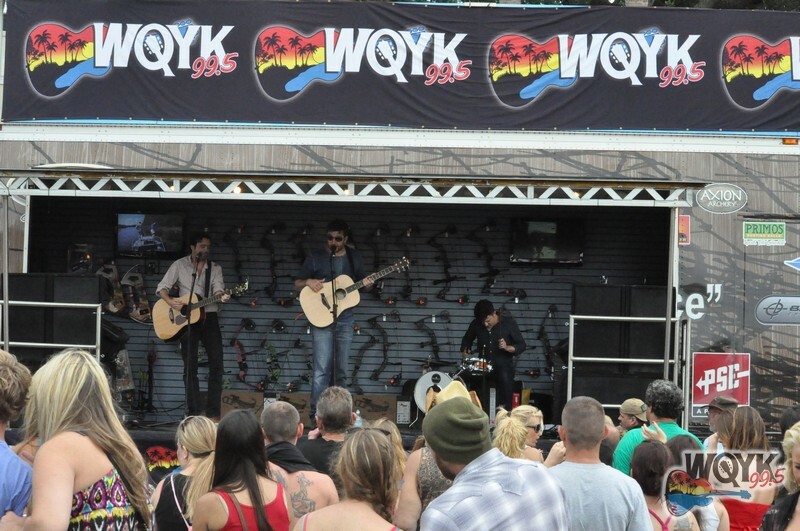 But on this day back in 2012 in Clearwater, a few dozen QYK listeners got to see him up close.